You might have gotten bored of your site’s design and feel that it’s no longer performing well. Or you didn’t make any plans of regularly adding new content beyond the launch period, so visitors have no reason to come back to the site. There are however many things you can do to freshen it up, to update its look and feel. By “freshen up” I don’t mean completely redesigning an old site (for which you should consider working with a developer). Instead, I’m referring to websites that you’re happy with, but that you know are gathering dust because you haven’t updated in a while. I’ve seen this happen too often, so I wrote this first. Please double-check any email addresses and phone numbers listed on your site (as well as your address if you decided to display one). And don’t forget any FAQs you might have on your site. If you’ve recently changed your work process or any business policies, update all the relevant info to avoid confusion and unnecessary emails. And if you really like to be thorough, go through all your pages and blog posts and update or remove any broken links. First and foremost, it’s about honesty. Having a portrait from 10-20 years ago is a little misleading, right? Don’t have a portrait on the About page at all? Please consider adding one, it’s a great way to show your personal side and build trust with your audience. And while you’re at it, why not also update your profile image on all your social media accounts? As your photography work evolves over time, your skills and photographic style might also be changing. Are you showcasing the most recent “you” on the site’s homepage? And if you’re working with any sort of event-based projects (weddings, concerts), are you constantly putting up new work? If you have no new content to add, at least try to change the order of the slideshow images, bring new images in front. It’s better than nothing. When visitors first come to your site, what do they read to understand what the site is all about? It’s usually a headline or a short paragraph below or on top of an image or slider. Consider rewriting that to make it sound great. Being very clear with your text is more important than sounding creative or acting cool. This is where learning to define your target audience comes in handy. If you just had a few seconds to describe the site to a friend, what would you say? … OK, now write that on your homepage. 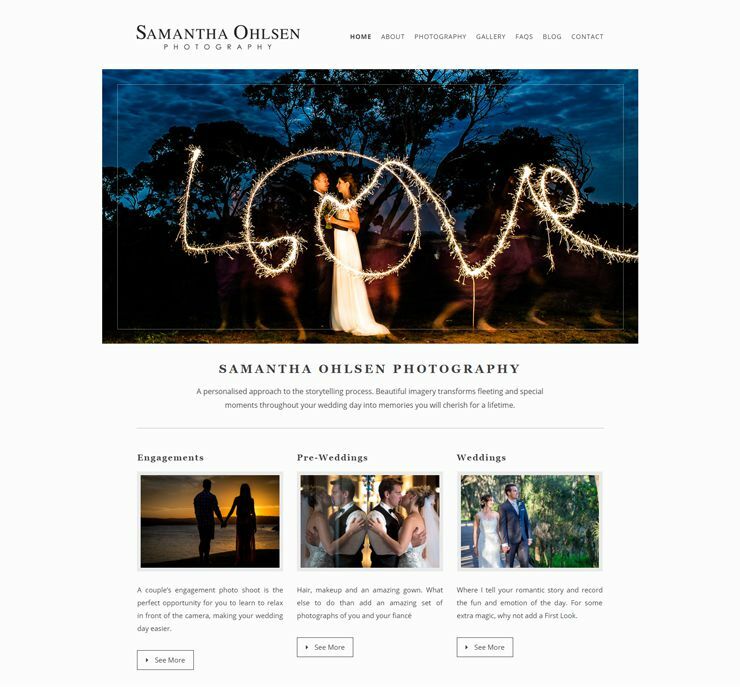 Many photographers neglect their blog a short while after launching their website. It’s easy to understand the reasons: photographers need to take care of many other aspects of their business, as well as going out there to shoot more images. So the blog might fall lower on your list of priorities. But writing weekly (or at least monthly) blog posts are a great way to keep people coming back to your site. And you don’t have to make it too complicated, you can just publish examples from recent photo shoots you did (along with some paragraphs of text to give context), news about you and your photography business. Even if you don’t have any new projects to share, you can at least uncover some great images from your past and then write about those locations or experiences. It will still be “new” to your blog readers. And a great way to save time is batching: take some time to prepare multiple blog posts at once, and schedule them to be published over the following weeks. If you’re selling any kind of image-based product or service, testimonials can act as excellent trust signals for potential buyers. The home page and the “Services” page are great places to post new testimonials. Case studies are even more powerful, and can walk potential clients through the entire process of working with you. For example, if you’re a wedding photographer, writing an article about a specific wedding you shot can be made much more convincing if you share the entire story, instead of just showcasing your images. What services/products were they trying before that didn’t work? Why did they start working with you? What photography services/products did they use from you? What results did they get? What are their recommendations for people with similar needs? Most photographers display a small copyright notice in the footer (throughout the site), something like: © 2016 John Doe. All rights reserved. Normally, the year represents the time when the website was created. But you might want to keep that up-to-date to avoid your website appearing “old”. Alternatively, you could display a date range, which I think is best: © 2011-2016 John Doe. 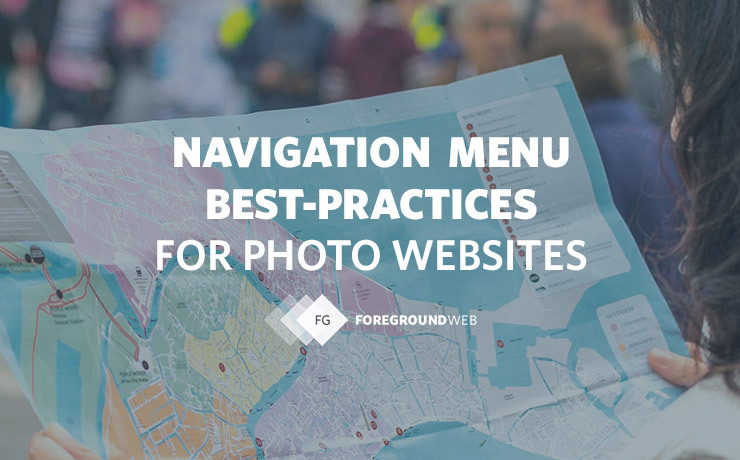 This is a common problem with photography websites, so it would be useful to review your site’s navigation every now and again. It’s such a huge factor for usability and SEO. Dedicate some time to read my in-depth guide on navigation menus and just think if there are any specific menu items to add or remove. 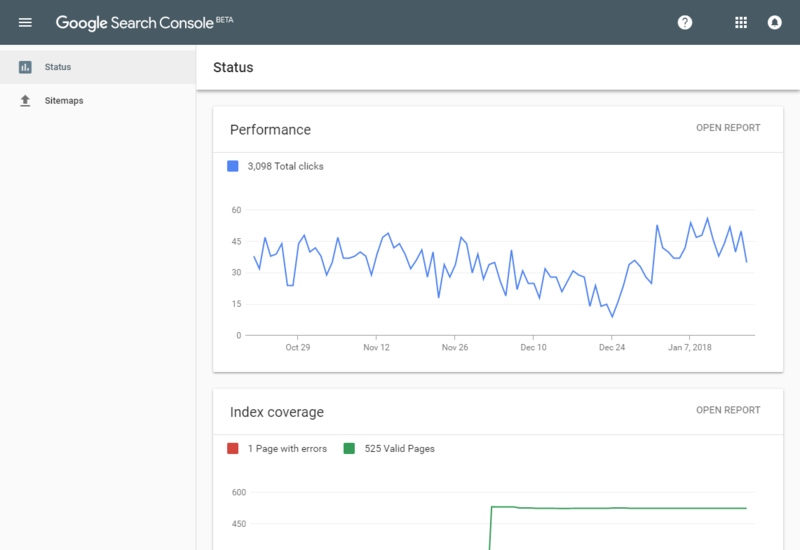 Google Search Console can show you a whole of things potentially wrong with your site and with how Google can index it. If your site’s functionality or SEO is broken for some reason, it’s like you had no site in the first place. Google will tell you if it has any problems indexing your site. More specifically, read this list of useful reports in your Google Search Console account. Web technologies always try to be backwards-compatible, so any old site should still work (at least partially). But small design glitches can always appear in new browser versions and, most importantly, on new mobile devices. So it’s a good idea to test your site every few months. Be sure to clear your browser cache first, or test from multiple browsers and/or devices. And of course, make sure your site is mobile-friendly, you can no longer afford to alienate more than 50% of your site’s traffic. It’s always hard to look objectively at your own site, you’re too close it it. But you can have other people visit and critique your site. Ask your friends to review your site, but don’t give them specific step-by-step instructions, just let them naturally browse your site. If using WordPress, the WP core version needs updating of course. new features and more powerful theme options etc. My detailed course will teach you all the WP maintenance best-practices. Is your site a little slow? 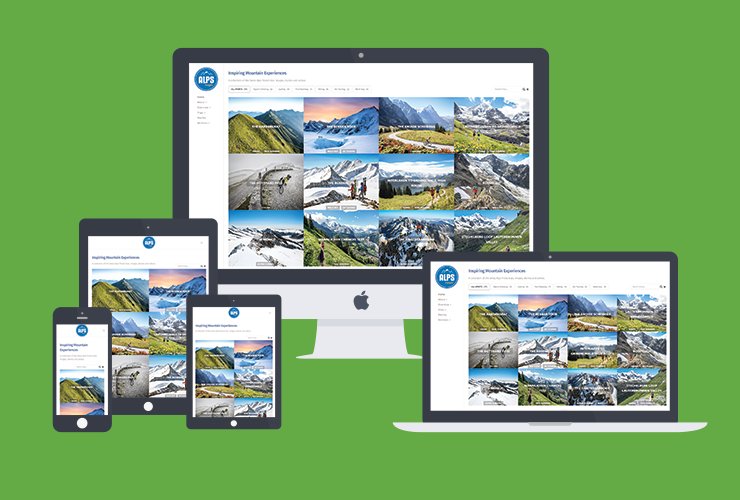 Learn how to optimize your images and consider hiring a developer to further optimize your site for performance. Are you having security problems with the site? Change all your passwords, install some powerful security plugins (if using WordPress), hire an expert to clean up your site. Is your site’s design getting a little old? Improving typography (bigger font size and line-height) and tweaking some of the theme options are usually the first steps for improving an outdated design (without spending a lot on a new website from scratch). As you can see, there are a lot things you can do on a regular basis to keep your website fresh. And it doesn’t have to take too long. Except for some of the more advanced tasks (like upgrading themes and rewriting past content), it should all be do-able within a day. 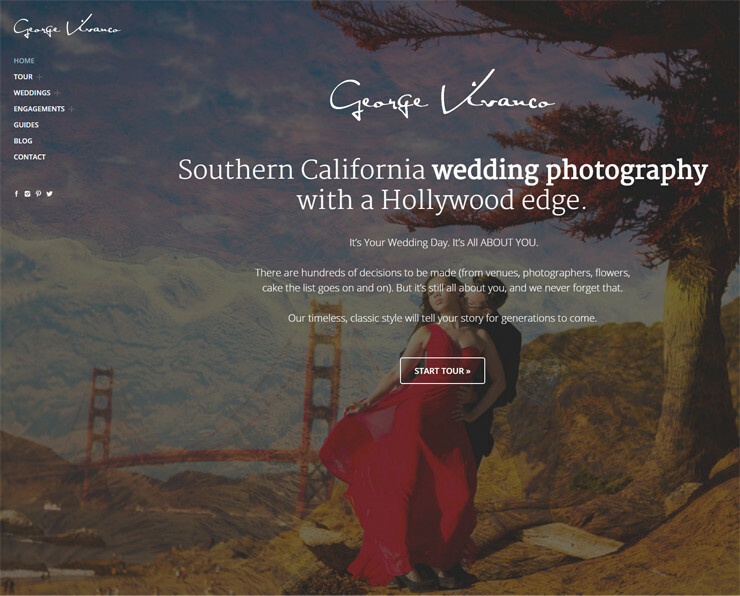 So, do you feel inspired to improve your photography website? Is there anything else you usually do to freshen things up? Share that with other photographers by leaving a comment below.